For Italian eyewear designer/musician Marco Benetti, good design is paramount. 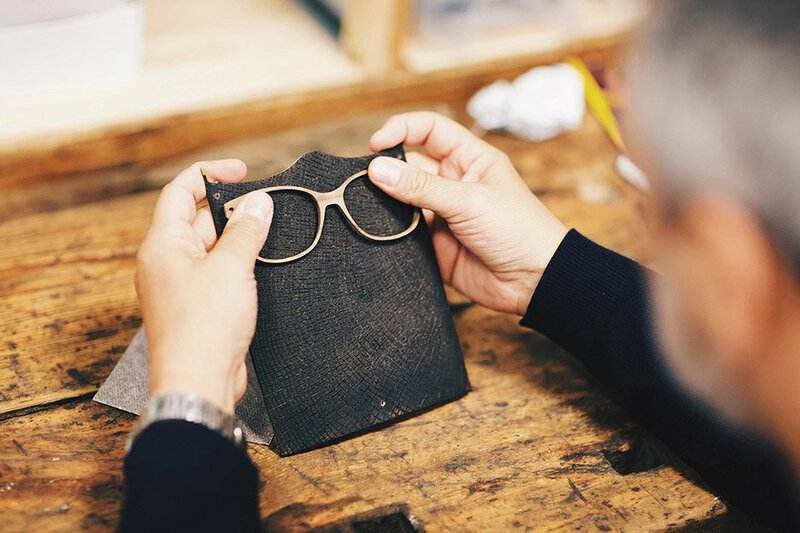 He has spent his whole life developing flawless everyday objects, deciding to specialise in eyewear design in 2002. 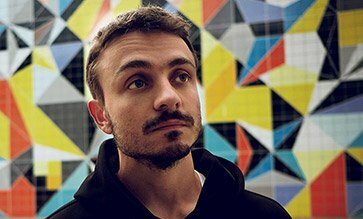 His career since has included a stint working at the manufacturer SAFILO, which represents a number of major international labels. In 2011 he even received a coveted Red Dot Design Award for his design work. Since 2006 he has been working as a self-employed product designer, focusing on the development of optical frame and sunglasses collections for eyewear labels ranging from luxury and street wear to casual and sportswear. A large part of his work revolves around creating colours and developing new, exclusive materials, which are tested together with the manufacturers in order to make them even more comfortable to wear. 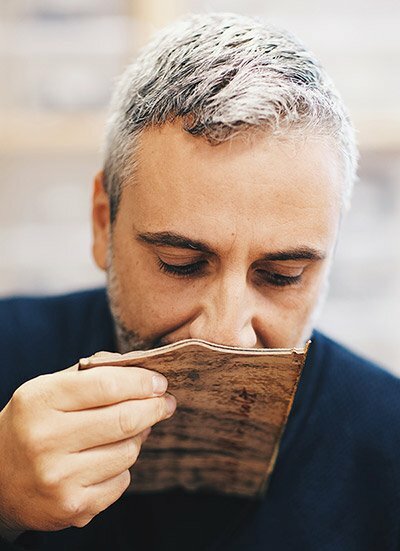 This was one of the reasons the WOOD FELLAS founders Stefan Muckenhirn and Jan Priepke sought the advice of Benetti in 2012 when they started their eyewear brand with the idea of handcrafting prescription glasses and sunglasses from natural materials. 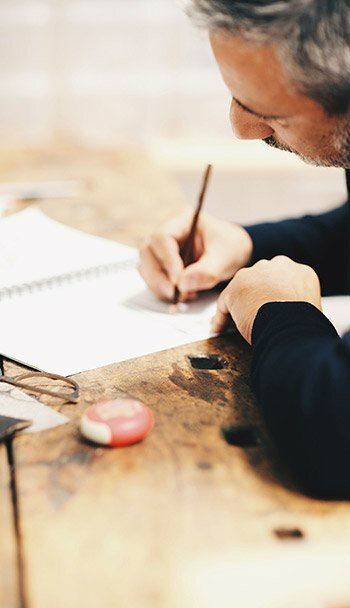 He has been responsible for the design of WOOD FELLAS eyewear ever since, regularly producing new collections that, you’ll probably agree, stand out from other brands on many levels. Which designers and artists past and present have had the greatest influence on your work? I don’t draw my inspiration directly from other designers, I’m on the internet a lot and look at magazines and the websites of young Japanese designers and bloggers. It might be a train going past or an animal, something that I see. Inspiration can be found anywhere, and I mainly find mine on the Web. 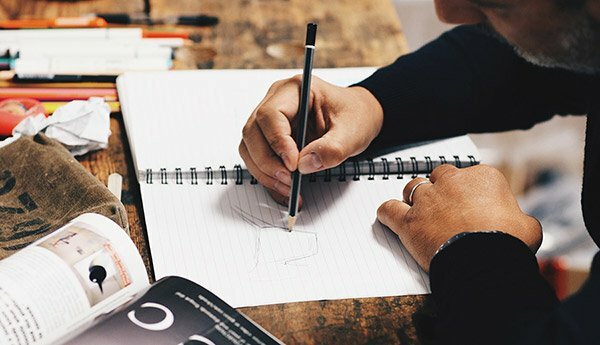 What constitutes good design for you? Good design must appeal to my emotions; it is both beautiful and functional. 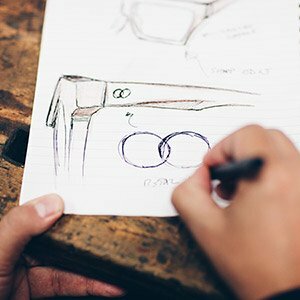 What is it about eyewear design that appeals to you? When I began my career some 16 years ago, I was designing fixtures and fittings. Then I wanted to move more into the world of fashion, despite having no training in this field. In Padua, where I live, there are a lot of eyewear makers. They were looking for a designer and that’s how I got into this business. I learned a huge amount while working for these very well-known companies and that’s how I became an eyewear designer. 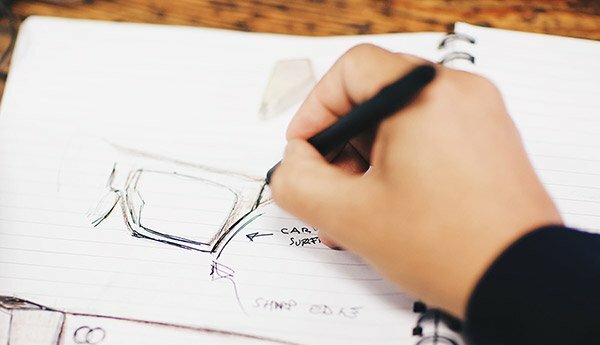 What do you have to bear in mind when designing a suitable frame? Every face is different and not every pair of glasses suits everybody. Every frame must nevertheless fit snugly on lots of different noses. This means giving consideration to the face’s physiognomy, keeping the dimensions in proportion – and yet there is no such thing as the perfect frame for everybody. How long have you been working for WOOD FELLAS? I worked for one of the most famous manufacturers in the business for ten years, during which time I got to know many leading labels. 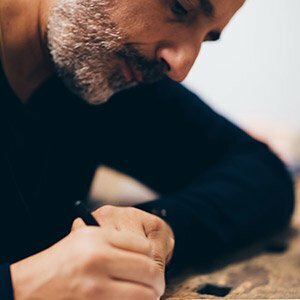 Six years ago I decided to go freelance, start my own business and create a different type of eyewear. That’s when I met Stefan and Jan.
What makes WOOD FELLAS so special? The link with nature is very important to me. Wild, untamed nature, that’s really crucial for me, although the world is evolving in a very different direction at present. So, I was looking for precisely that type of company, where sustainability and nature play a central role. That’s what turns our work together into a very special bond. What criteria do you use when selecting materials, and what makes wood or stone such interesting design materials? It varies greatly, depending on the project. With WOOD FELLAS, everything has an association with nature, so working with wood and stone seemed an obvious choice. The design process depends on the material. The thickness and colour are defined by the original material. The difficulty lies in achieving robustness while preserving the material’s lightness at the same time. 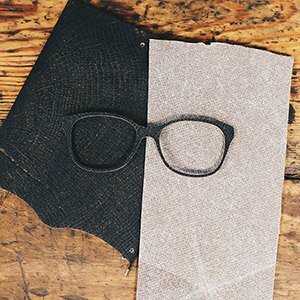 Is there any difference between prescription glasses and sunglasses when it comes to design? No, apart from the lenses of courses. 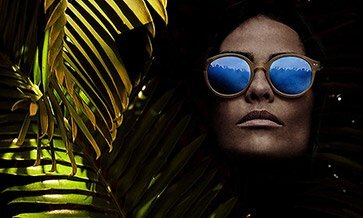 These come in a wide range of variants, from multi-coloured mirror lenses to sandblasted lenses, and manufacturers are very interested in new lens designs. 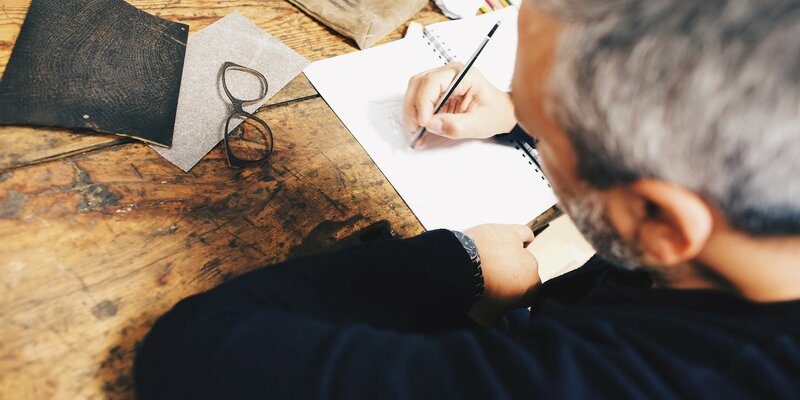 What distinguishes a premium manufacturer from lower-cost makers? Primarily the product quality across all production stages, from the material to the design to the manufacturing. With WOOD FELLAS, for example, the attention to detail is clearly evident in the precise execution of the products. 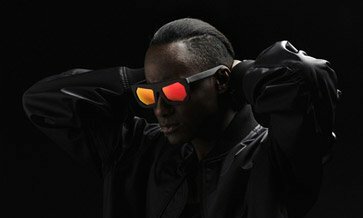 Other than eyewear, what product would you like to design? Always. 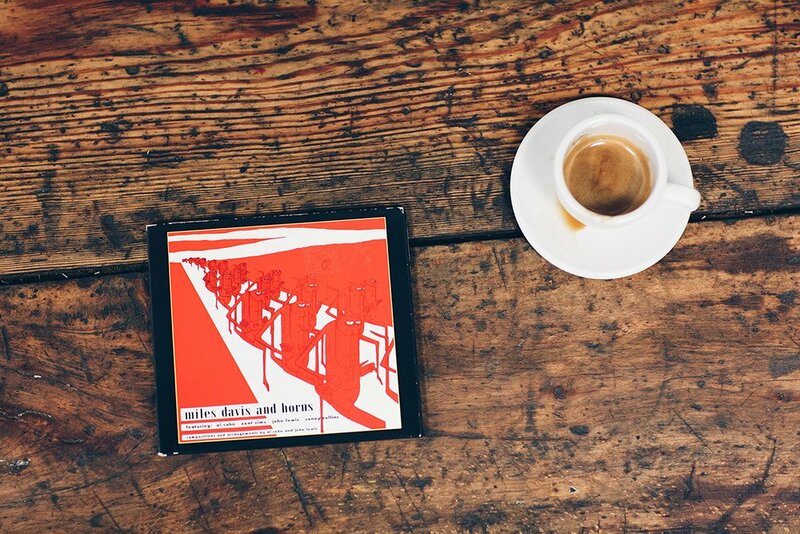 My favourite music is jazz, Miles Davis. But I’m also a classical fan, Bach and Mozart. And on another day, I might prefer some prog rock and Frank Zappa. In my spare time I play bass guitar in various bands. How does a typical working day start for you? With beer (laughs)! No, no, with Italian espresso, of course.